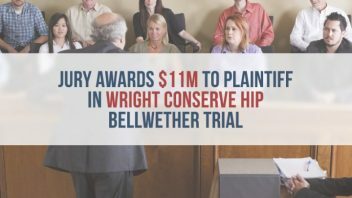 A Georgia jury handed Wright Medical an $11 million dollar loss in the first federal trial over its Conserve hip implant. The jury found Wright’s implant was defective, unreasonably dangerous and the manufacturer misrepresented the product’s safety. The trial began on Nov. 10 and ran for two weeks. Wright tried to place some of the fault on the plaintiff, former ski instructor Robyn Christiansen. The jury sided with the plaintiff and found the implant manufacturer 100 percent at fault. Christiansen’s Wright Conserve hip implant was replaced after it began causing her severe pain. She underwent additional surgery to replace it after only six years. She filed a lawsuit soon after. After three days of deliberations, the jury awarded $1 million in compensatory damages and $10 million in punitive damages. Juries award punitive damages when they feel the defendant acted with gross negligence and to discourage companies from repeating the offense. Christiansen underwent revision surgery when her Conserve hip loosened and failed prematurely. According to her lawsuit, the implant was supposed to last 15-20 years. Instead, she began to feel severe pain in her hip after only six years. 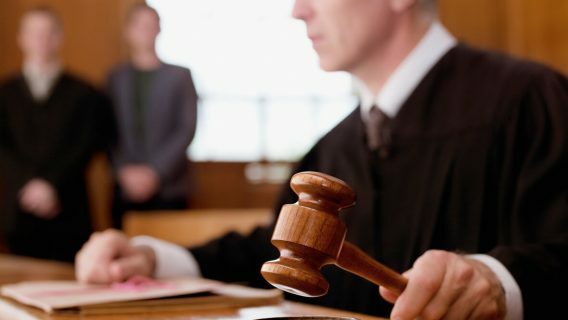 Hundreds of plaintiffs whose cases are consolidated in multidistrict litigation (MDL) still await their day in court before U.S. District Judge William S. Duffey, Jr. in the Northern District of Georgia. Each lawsuit has similar claims to Christiansen’s. 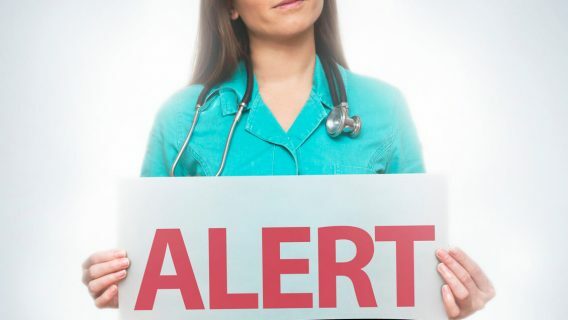 Some complications faced by plaintiffs include early device failure, loosening, metal poisoning and metallosis and severe pain. Christiansen’s lawsuit claimed the metal-on-metal design of the Wright Conserve was to blame for its early failure. According to the plaintiff, her doctor made his recommendation to her based on information from Wright that claimed the metal design was superior to polyethylene plastic and would last longer. But while metal-on-metal was less likely to show wear, a number of studies showed debris from metal components rubbing against each other can circulate in the bloodstream and embed in tissues and bone, causing damage. Another implant similar to the Wright Conserve, the DePuy ASR, faced similar legal troubles over its design. The company faced about 12,000 lawsuits and settled 7,500 of them for $2.5 billion. 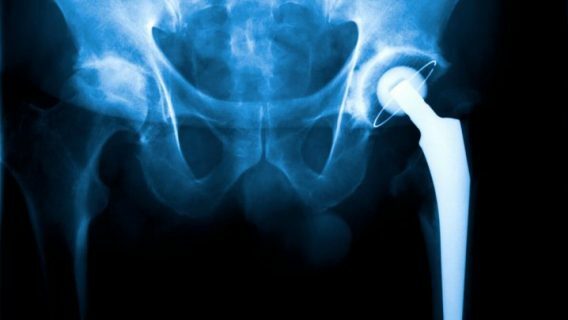 According to documents released during a DePuy trial, Johnson & Johnson — the manufacturer’s parent company — knew that as many as 40 percent of implants would fail within five years. Bellwether cases like Christiansen’s allow attorneys on both sides to gauge how juries will react to testimony and evidence presented at trial. 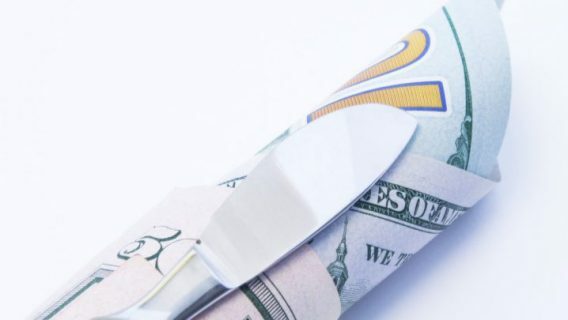 While it is impossible to predict how other cases in the MDL will fair, a strong verdict in favor of the plaintiff may be a sign of things to come in future trials.